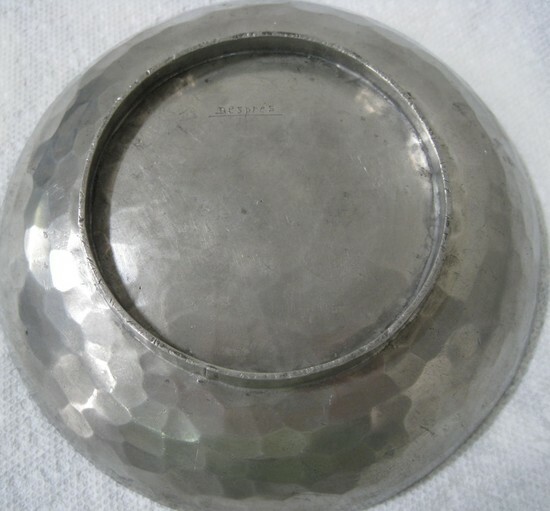 This French art deco bowl was designed and executed by Jean Despres (1889 – 1980). 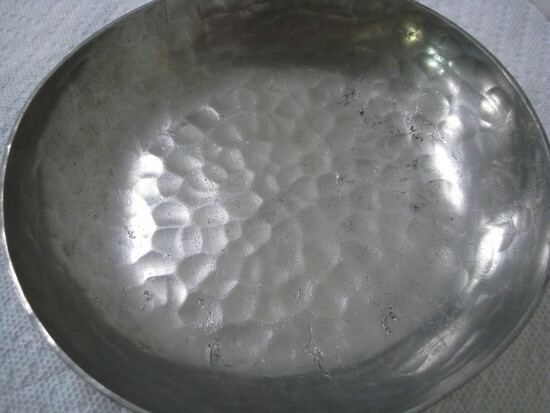 The bowl which is of silver metal, has a hammered martele finish and a reticulated foot. 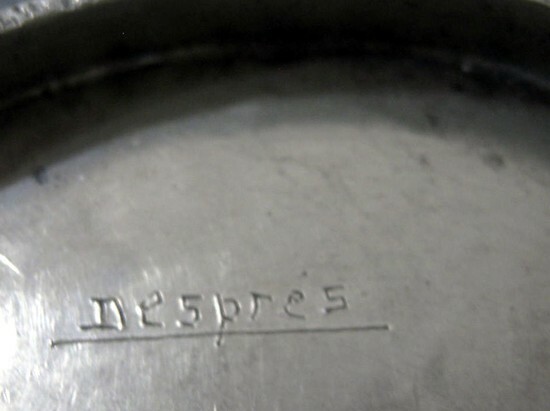 The bowl is signed “Despres” on the bottom and measures 6-1/2” in diameter and is 1-5/8” high. 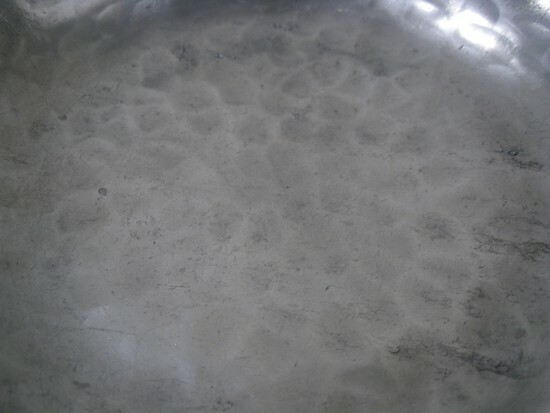 A must for the dedicated art deco collector or as a fabulous accessory in any design scheme.